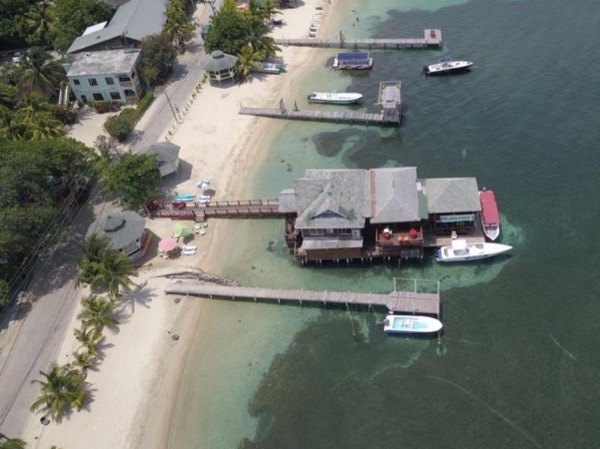 Traveler Reviews for Private Tour in Roatán, Honduras by Tour Guide Steve Arthur B. About Steve Arthur B. Message Steve Arthur B.
Steve did a great job of showing us Roatan! It started out raining but cleared up nicely. He took us through several areas so we could get a taste of the culture. He took us to Anthony's Key as we requested and also to a local bar which looked out over the water. It was an awesome place to relax and then we took a small boat ride. We could have snorkeled but we choose not to. Overall very pleased with our day spent with Steve. Thank you! Steve was the best! We signed up for the surf and turf package and so happy we did. He and his apprentice Quinn took excellent care of us- taking us to the best places with the most friendly and accommodating guys. We were able to safely leave our things with him and enjoy our adventures. We really had no worries or concerns with our tour and he got us back in time! Steve was great. Rain prevented snorkeling. Starter rope broke on small old boat thus no boat ride. Did not really interact with any locals. Took us to a great place for lunch. Steve did the best he could. TOUR GUIDE RESPONSE: Thank you for your report it was very hard for us to make your experience the best because of the rain even though I tried my best but against mother nature there is not much I can do. I am sorry that this wasn't the best experience for you and I hope to serve you next time in a better weather condition.